This is how I find it the most useful. There is some content on a page, but it's not very easy to copy-and-paste with your mouse for whatever reason. Maybe some of it is hidden. Maybe it's intermingled with stuff you don't want. 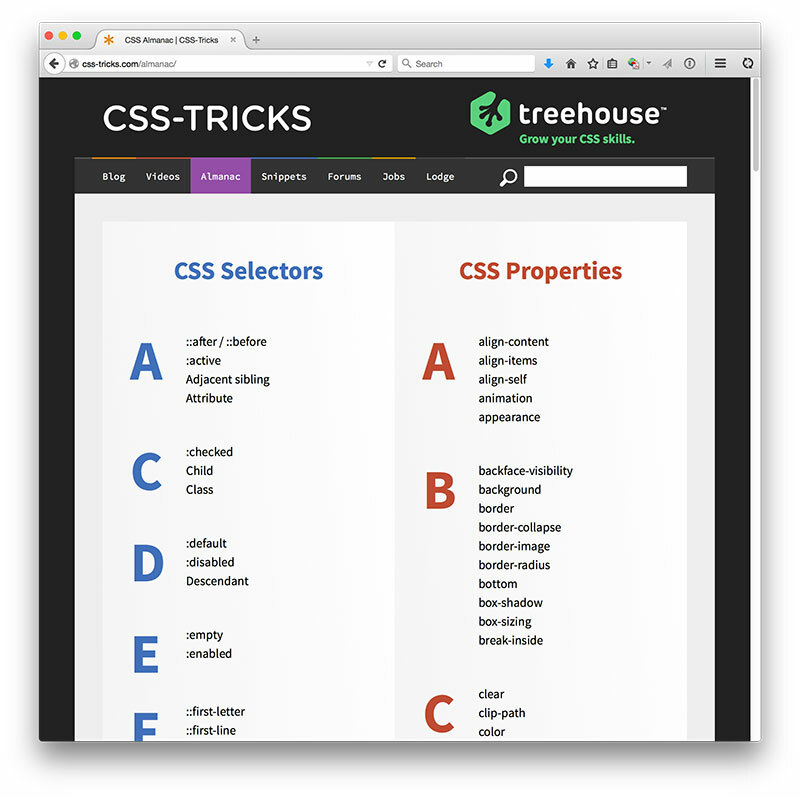 Imagine you're looking at the CSS-Tricks Almanac. 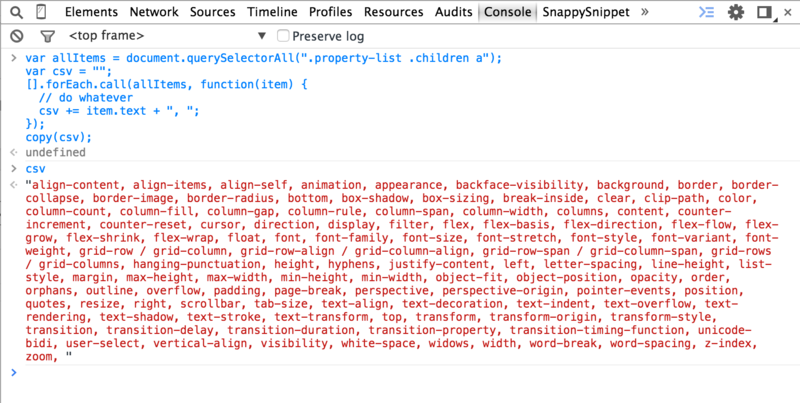 And your goal is to get a comma-separated list of all the CSS properties. There are a number of ways to do it, but building your own quick little screen scraper in the console will do nicely. Here it is output to the console, but it's on the clipboard as well for easy moving. 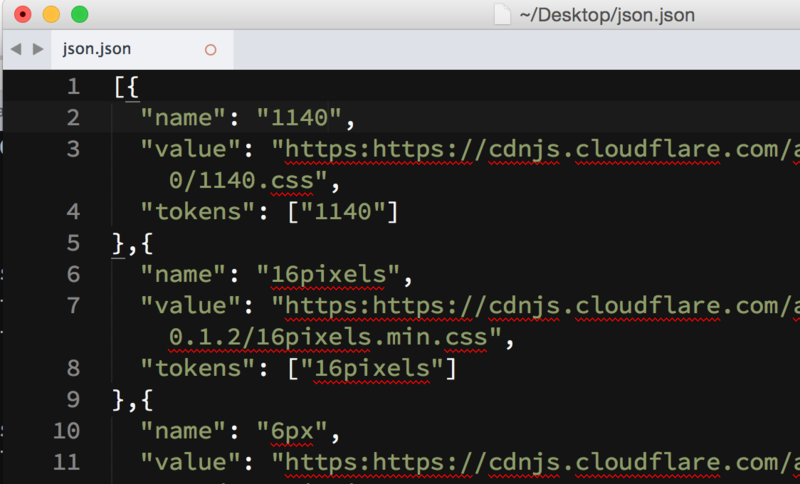 I've even used it in the past on cdnjs.com to build a JSON object in just the format I wanted! Have you ever used copy() for something you found useful? Nice, I really dig these kinds of hacks! Great! I have a usecase for this. In this pen I want to store the audio data generated by the HTML5 Audio Api. My “workaround” for saving the Object was to run the console.save() snippet from DevTools Snippet. But this one is more convenient. Thanks! That copy() trick is really neat, but building a string in order to write out JSON is pretty icky and really not something to encourage, JSON.stringify() is the real way to do that from JS. That’s great if the data is already on the page in the form of an object. It wasn’t here. Are you saying it would be better to create an object first and then stringify that object? The implementation may allow other trusted event types to modify the clipboard if the implementation authors believe that those event types are likely to express user intention. The implementation may also support configuration that trusts specific sites or apps to modify the clipboard regardless of the origin of the scripting thread. Synthetic paste events must not give a script access to data on the real system clipboard. Synthetic cut and copy events must not modify data on the system clipboard. Yes, and it’s quite overdue considering that many sites still uses Flash just to have ZeroClipboard. Why build the json manually? Again that’s great if you already have an object that is formatted just how you want it. In this case I was traipsing through the DOM finding the little bits I needed, it wasn’t already a nice object. If it was, certainly that’s a good trick to just stringify and copy the object.